Requires Machi Koro Base Game to play. There goes the neighborhood! 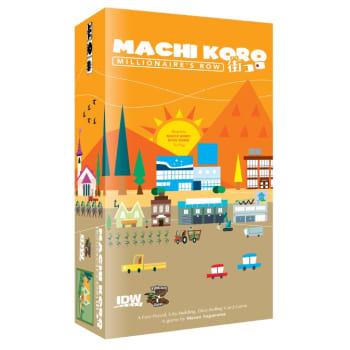 Machi Koro: Millionaire's Row brings 13 all-new powerful establishments to the town of Machi Koro. Designed to be used with the base game and fully compatible with the Harbor Expansion as well, Millionaire's Row brings the total number of buildings available for purchase to more than thirty!